Practically since Rebels was first announced, we’ve been told by the show’s creators that Kanan, Hera, Zeb, Sabine, Chopper, and Ezra would be like a family, and we’ve seen plenty of evidence to support that claim. However, the latest episode, “Fighter Flight,” illustrates that particular dynamic more explicitly and powerfully than previously explored in any previous Rebels media. It’s been clear from the beginning that Hera is the mother figure of the group (and as her name is borrowed from the Greek goddess who is also a mother of gods, that would only make sense), but in “Fighter Flight,” the Twi’lek pilot of the Ghost takes this role to a whole new level as she practically grounds Zeb and Ezra for causing chaos aboard her ship and then sends them on what Obi-Wan Kenobi would surely call a “wild bantha chase” to purchase supplies–including the incredibly rare meiloorun fruit–in a nearby town. Unlike the earlier episodes in the series, “Fighter Flight” tells a much smaller story–a tale of two brothers really, who learn to appreciate each other only after having to depend on the other for their survival. As the episode opens, we hear the strains of Luke Skywalker’s theme and see that Ezra is practicing using the Force only to have Chopper interfere. The astromech annoys the boy to the point that a riotous romp ensues that concludes loudly in Zeb’s quarters and results in the Lasat being annoyed to the point of fighting. Both Zeb and Ezra blame the other and ignore Chopper’s role in the scuffle and it’s obvious that there is lingering resentment between the two. Ezra is still reminding Zeb that he saved his life, and while for the viewer it’s a nice connection to the previous episode, Zeb is clearly exasperated by it. While on their mission to collect supplies, the two crew members are cooperative, if a little irritated by the other. Ezra continues to play the “I saved your life” card and Zeb minimizes Ezra’s Force ability by implying the boy is out of his depth. But when a confrontation with Imperial Stormtroopers arises, the two reluctant friends band together. This time, Zeb saves Ezra by using a stole TIE fighter but insists the boy declare them “even” before doing so. And once both are in the stolen ship, the next stage of their adventure begins. Back on the Ghost, we are treated to another nice call-back to A New Hope as we see Kanan and Chopper enjoying a game of Dejarik. Just as Hera is the “mother” of the crew, Kanan fulfills a fatherly role for the group and “Fighter Flight” illustrates this through a fun exchange with Hera about how quiet the Ghost is while the “kids” are away and further expands on his paternal position through his stern lectures to Zeb and Ezra regarding the foolishness of stealing a TIE fighter and forgetting to disable the locator beacon. Also of note, there is another reference to Zeb as “Spectre-4.” I believe that we can safely assume that there is not only a hierarchy implied from the numbering system employed by the Ghost’s crew but also a chronological component. From previous episodes, we know that Kanan is Spectre-1, Hera is Spectre-2, Chopper is Spectre-3, Zeb is Spectre-4, Sabine is Spectre-5, and Ezra (the newest member of the group) is Spectre-6. John Jackson Miller’s A New Dawn lends further credence to this theory by chronicling the first meeting of Kanan and Hera and avoiding any mention of the other crew members of the Ghost. But as these newer members of the crew are the focus of “Fighter Flight,” both Zeb and Ezra take full advantage of being in the spotlight. On their way to the rendezvous point with the Ghost, they accept a new call to adventure and heroically rescue a band of local farmers whose land and homes have been decimated by Imperial forces because they refused to sell to the oppressive government agents who were threatening them. “Flight” alludes to Luke Skywalker again during this sequence as we again hear his theme, while the aforementioned farmer’s homes are incredibly reminiscent of the Lars’ homestead. Even the farmers themselves invite comparison as they are not strangers to Ezra, but rather friends of his parents. Ezra is progressing rapidly on his journey toward becoming a Jedi. He exudes confidence in himself and his burgeoning Force abilities, and his heroic selflessness sets him apart from some of the early Han Solo comparisons. Also of note during this sequence is the episode’s portrayal of the Stormtroopers. They seem a bit smarter in “Fighter Flight” and one even comes off as brave when he encourages his compatriot to ignore Ezra’s slingshot and pursue the boy without fear of injury. Of course they are as clumsy as always, and our heroes emerge unscathed from the encounter with them, but I wonder if Rebels will continue to slowly develop the Stormtroopers into more of a substantial threat as the show evolves. Whatever the case, “Fighter Flight” succeeds in further establishing the characters of Zeb and Ezra as distinct from the rest of their crewmates. They do return to the Ghost with that elusive meiloorun but have also forged something more valuable–a brotherly bond. Luke Skywalker’s theme is heard once again as “Fighter Flight” concludes and we are left with the impression that at least for the time being, the journeys of these heroes will not be solitary ones. I have a couple more chapters of “A New Dawn” to read. I don’t recall coming across “Spectre …” anything yet. I must admit it bothers me a bit that Kanan would hold that # 1 spot — given the fact that it was HERA who started the whole ball rolling. And the “Ghost” is HER ship. Of course, they’re just call signs. The hierarchy just bothers me a bit. Great review and Love REBELS! Personally, I have no qualms at all in regards to this series; I’m completely sucked in. This was such good review of this episode that it makes me want to go back and watch it again. As far as the hierarchy goes, I think it’s within Hera’s character that she defer to the resident Jedi on board, even if his training is incomplete. He represents an aspect of the Republic she wishes to restore. And as she’s the getaway driver, it makes additional sense since Kanan leads their away missions. And you can hear some of Hera’s reserve in Vanessa Marshall’s interviews, as she’s studied the character — largely from exposure to Miller’s book. Good point, Adjua. Tying the book to the series is important to me, so this makes sense. Here’s my brief overview of “Fighter Flight” My reviews tend to be casual reviews highlighting aspects of the production I particularly enjoyed, while analyzing themes within the episode. I have yet to read A New Dawn, so I hope I’m not missing too much that’s essential to the story – but I think I’m catching on well enough. My favorite bit was easily the whole locator beacon exchange. It still makes me chuckle thinking about it. Ezra and Zeb’s relationship has grown nicely, and – even though it’s only been a few episodes – it seems natural and not rushed. 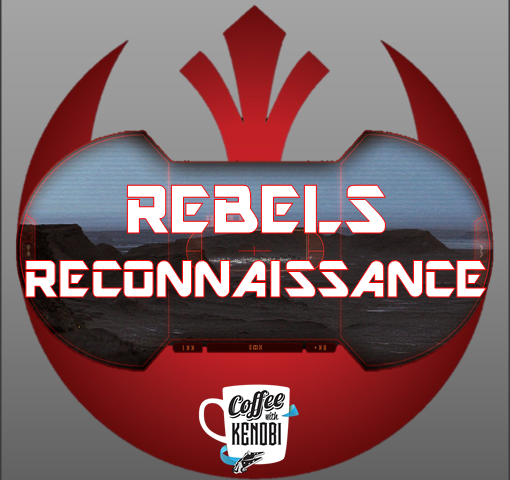 All-in-all, I think Rebels is turning out to be something pretty special. Nice review, Craig!